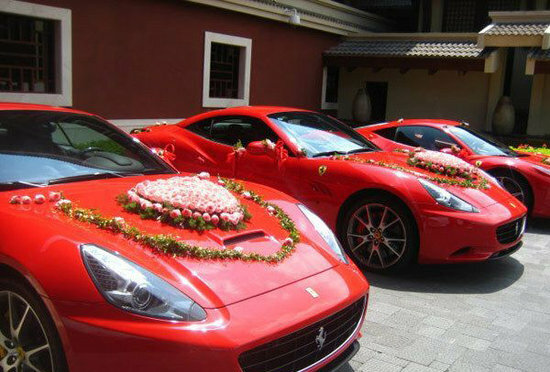 Three decorated Ferrari sports cars are parked outside a hotel during a wedding in Sanya city, South China’s Hainan province, March 18, 2012. The wedding was held by Xing Libin – the Board Chairman of Liansheng Group, an energy company in Liulin county of North China’s Shanxi province – for his daughter. 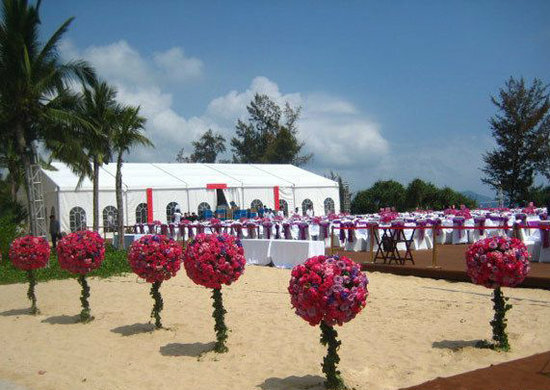 Xing, who was reported to be the wealthiest man in Shanxi, spent a total of 70 million yuan ($11 million) on this wedding, including a grand gala staged by famous performers and singers, hiring several five-star hotels and three chartered planes to transport the guests to Sanya from elsewhere.